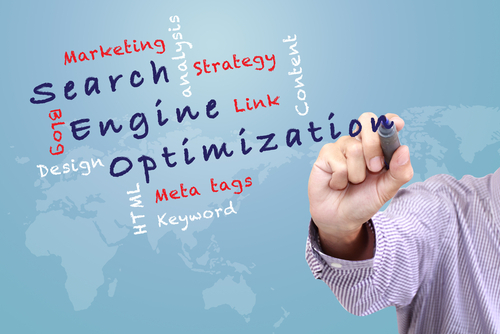 Search Engine Optimization (SEO) is a great way to improve a website’s ranking in popular search engines. When was the last time you looked at that big clunky yellow book to find out the best dry cleaners in town, or the best lawyer, or the best massage therapist? As more and more consumers look to the Internet as their main source for finding information about service businesses, SEO is rapidly becoming one of the strongest marketing strategies available. Imagine if a small tutoring service company based in Miami used SEO in all the right ways. Whenever someone searched tutoring in Miami or Miami tutoring, their website would be the first to come up. That type of search engine authority is invaluable for driving organic traffic to your business site. The difference between the eighth spot and the top spot in search engines can mean the difference between 50,000 unique visitors a month and 50,000,000. But while every business wants to earn a spot at the top of the search results, not much is definitively known about how to successfully do it. Businesses spend hundreds of thousands of dollars every year for SEO strategists to come in and improve their site’s ranking, and they don’t even realize that much of what is done comes down to guesswork and trial and error. There’s a whole universe of advice on the topic available, and the more you read, the more you realize that virtually every article is an educated guess based on previous successes. This is because search engines are very protective of their various search algorithms. No one knows the secret except for a few top level individuals in the offices of Google, Bing, and Yahoo. In this case, my advice will follow what all SEO strategists have universally deemed as relevant to improving your site’s overall rankings. Even the folks at Google have confirmed these three easy ways to improve SEO for your business website. My main tip for service businesses that want to optimize their website for search engines is to keep it simple. Begin with quality content on the specific topics that relate to your business and write it for actual human readers. In my experience, the most important thing you can do to improve your website’s search engine traffic is to write the most fascinating, useful, accurate, exhilarating content possible. Service descriptions, “About” pages, announcements, and main page blurbs should all be written with a natural flow and geared towards inviting readers to stay on the site. If you’re selling the same pool cleaning service that 100 other small businesses are advertising, and everyone is using the same bland, generic descriptions, this is your chance to stand out. Make service descriptions that would blow the competition right off of page 1 on Google and put you rightfully in that spot. Now, fantastic content doesn’t automatically equal lots of traffic. But if you continuously create it over time, and regularly participate in social media and your site’s feedback pages, it has the habit of building your traffic and search engine authority. While I’ll never argue that quality content should be anything but a first priority in your business website, the fact is that there are many millions of pages of great writing getting overlooked at the bottom of search engines. Why? Their authors have failed to understand that just a few simple keyword tweaks in the writing process could get them ranking considerably higher. Keywords are words search engines use to hone in on a site’s relevance to a user’s search terms. For example, if someone searches for “lower back massage therapy,” search engines will match that term with the exact same keywords placed throughout a website’s content. You can research relevant keywords by making a list of top competitor’s sites. Use Google’s Doubleclick Ad Planner to see what people search for when looking for that site. There’s also some great information on demographics and other competitor sites related to your initial search. From there, use Google’s AdWords Keyword Tool to see the relative volume of one keyword over another. Identify and use keywords that are moderately competitive to assert your search engine authority for them. When deciding which keywords to use, ask yourself how you want people to find your website through search engines. Once you have your keyword list, use them throughout your website’s content, writing at about a 3% to 5% density. That means for every 100 words, use 3 to 5 keywords. This is important because going any higher than this puts your site at risk of coming across as cheap or spammy, and it will affect the overall quality and usability of your website. It’s pretty much a given that your webpage’s title is the most vitally important on-page SEO factor. It is extremely rare for a website to rank highly for a keyword without it being part of the page title. Since your homepage is already ranking for your website’s name, you are not going to get better search results by putting your website name at the start of your page’s title. Try removing the site name altogether and replace it with a more SEO keyword-oriented title. This isn’t only because visually it looks better, but because it will work. A friend’s site that I helped optimize received an enormous boost in search traffic when we removed her business name from title tags on her company website. Look into changing the URLs of your website’s pages as well. The page will rank better when you change it from /what-to-know-about-how-to-rank-better-on-Google to something like /SEO-tips-and-techniques. Change the meta tags on your site’s page as well. The meta tag is the little snippet of text that appears under the page link in Google or other search engines. By default, this text is taken up by the first text on your website. This isn’t always a good thing for the purposes of SEO, especially when it reads something like “Since 1998, Black & White LLC has prided themselves on providing quality service and a friendly atmosphere for all of their clients.” There’s not a single keyword in there relating to personal injury, medical malpractice, or worker’s compensation legal services. Try customizing the meta description tag to incorporate the main keywords relating to the services your company provides. The idea is to keep it simple, keep it clean, and be aware that SEO is a large enough marketing strategy that it deserves some time and additional research on your part. Remember that once you’ve implemented these techniques into your website, you’re not quite finished. Update content throughout your site to keep it fresh and relevant for search engines and users.